This product page is kept only for reference. For up-to-date information and new orders, please go to SQM4-K70. System-on-module with microcontroller Kinetis K70 from the SQM® modules serie. 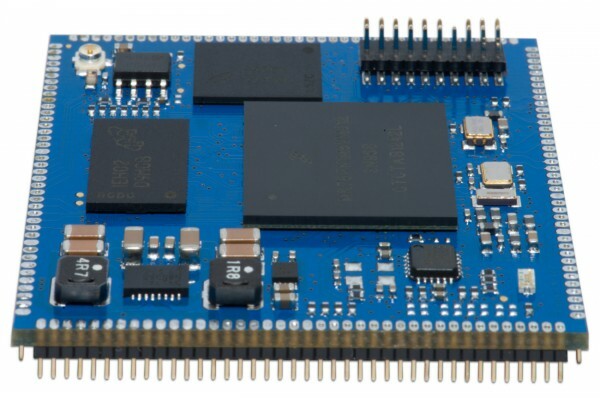 Besides the ARM Cortex M4 microcontroller with 1 MB on-chip memory it disposes of a 128 MB DDR2 SDRAM memory, 128 MB FLASH memory, Wi-Fi modem, Ethernet, USB and a wide range of other peripherals connectable via 135 GPIO. 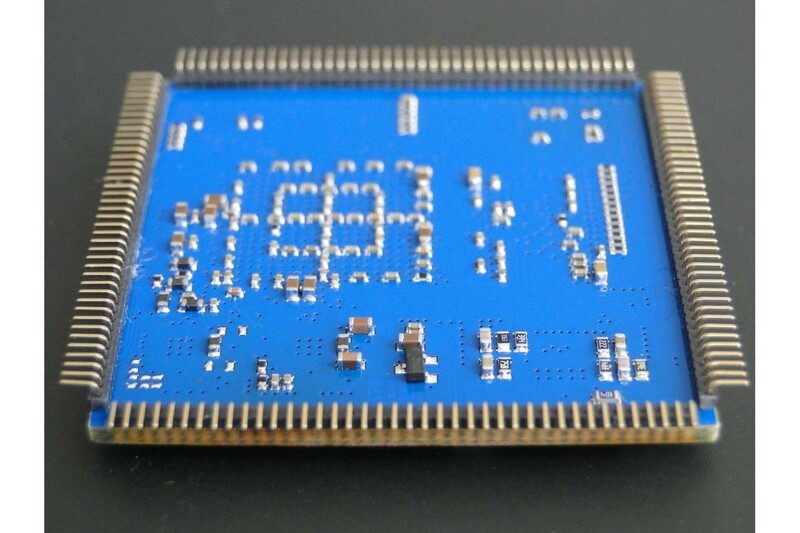 Quick and easy development is ensured by a JTAG connector. All this compressed on 16 cm2 only. The module is placed on a thin ledge allowing the parts placement on both sides. 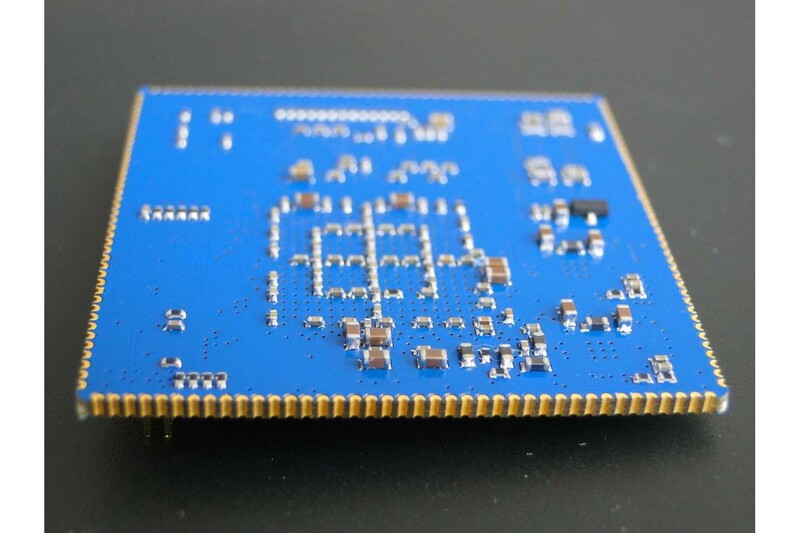 Together with a high degree of integration it minimizes the module size, giving also an option to use the surface of motherboard for other (hidden) components. Rapid simplification of the motherboard circuits leads to usability of cheaper production technology and hence a significant price cut. 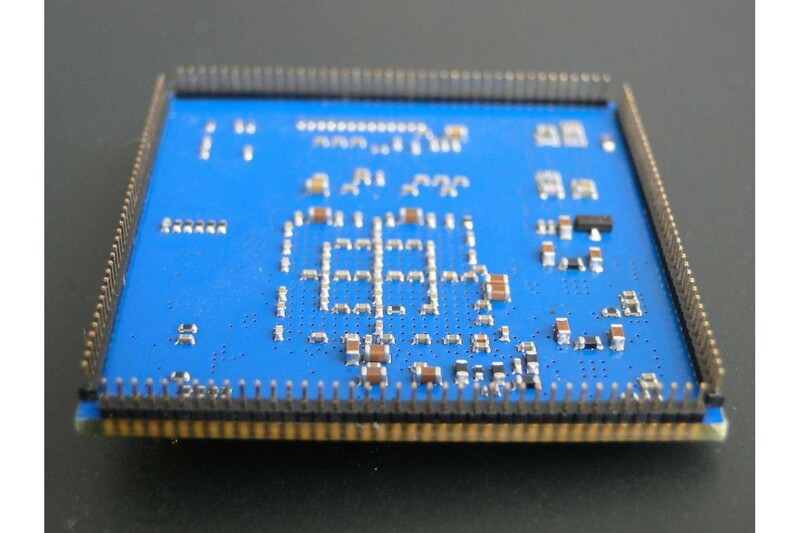 The module is intended to be soldered directly on the board using the RIM connection, providing 4 ways of assemblage (bottom, top, mirrored bottom, mirrored top). For quick start with the SQM4-K70 module we recommend to use EasyBoard, a development board expanding the most of the peripherals available on the module. 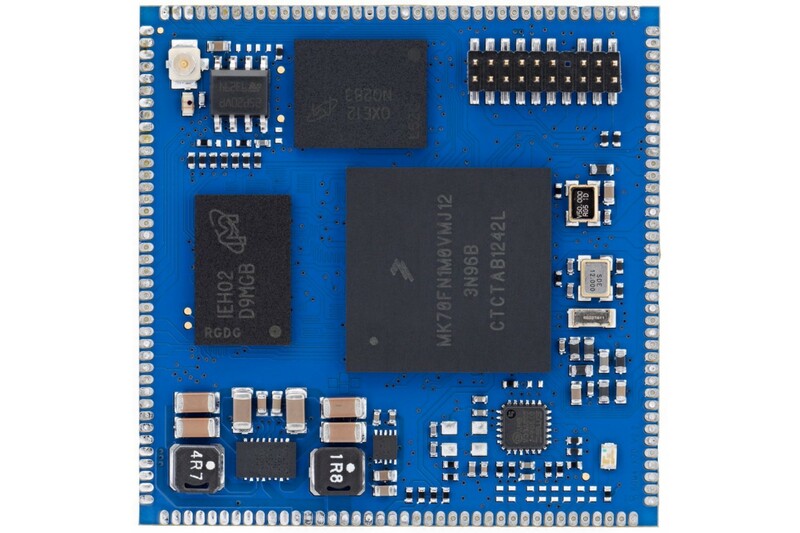 The board itself illustrates how usage of SQM4 modules serie allows to produce full-fledged embedded device on simple two-layer board. SQM4_K70_v22_psch Schematic of main parts of SQM4-K70 v2.2 module 2014-03-27 19:59:55 To download this file you must be logged! SQM4_SCH_DECAL_Lib Design Library for PADS, ORCAD, EAGLE and ALTIUM 2015-10-06 09:36:09 To download this file you must be logged! EasyDemo Out of the box demo application for SQM4-K70 modules. Version 2.01 with updated Getting Started document. 2014-10-19 18:55:45 To download this file you must buy this product! SQM4-K70: Getting Started Getting Started for EasyBoard Dev Kit with SQM4-K70 modules. 2014-10-19 18:59:04 To download this file you must buy this product! 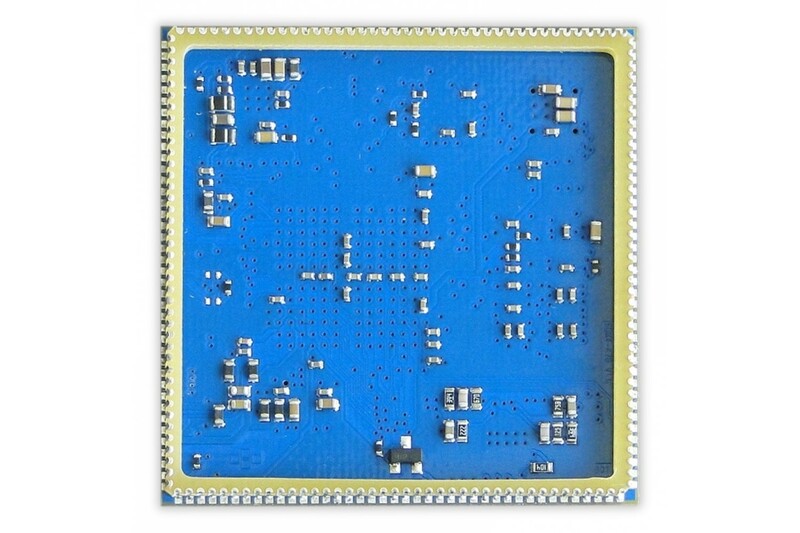 SQM4_K70_v22_SCH Full schematic of the SQM4-K70 v2.2 modules 2014-04-23 16:22:23 To download this file you must buy this product! There are some files to download. If you purchased this product, you can find available files here.